Some state songs are well known and others are not. Everyone knows Rodgers and Hammerstein’s “Oklahoma!” as both the song of the Sooner State and as the title song of the Broadway musical. And two of Stephen Foster’s melodies are official state songs: “Old Folks at Home (Swanee River)” for Florida and “My Old Kentucky Home.” Alongside such monumental figures of American music, one might not expect to see John Denver’s name. But he is the composer of one official state song, and one adopted state song. You can guess one of them. It has to do with his last name. 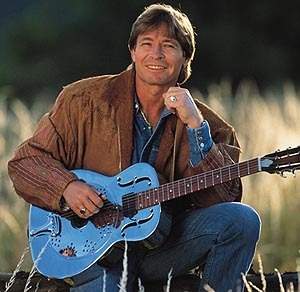 If “Rocky Mountain High” was directly influenced by Denver’s life in Colorado, then it probably makes sense that “Take Me Home, Country Roads” came from time he spent in the West Virginia. After all, the song begins with “Almost Heaven, West Virginia.” In one of the strange quirks of music, he had never even been to the state when he recorded this hit. 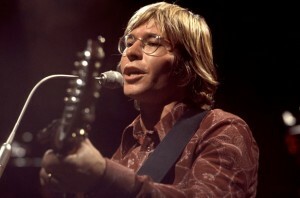 In late 1970, the singer had an engagement singing in a club in Washington, D. C. Just after Christmas, Denver broke his thumb in a car accident. As he was recovering, two of his musician friends sang him a little song about driving on winding roads through Maryland. John loved the tune, although they all felt that setting it in West Virginia was better somehow. Why they thought this is a mystery because neither John nor his friends has ever been to West Virginia. The three musicians stayed up until 6 a.m. changing words and tweaking the melody. John knew he had a hit on his hands, and when he sang “Take Me Home, Country Roads” at the same club on December 30, the audience gave him a five-minute ovation. Of course, West Virginians love the song. One could hardly imagine a better tribute to their state, even if it originated in Washington, D.C. and was about Maryland roads. It is now the theme song of West Virginia University and has been performed before every home football game since 1972. Like in Colorado, West Virginia legislators have attempted more than once to replace the current state song, “The West Virginia Hills”, with “Take Me Home, Country Roads,” but unfortunately the resolutions have not yet passed. This article originally appeared in Greensboro, North Carolina’s News and Record on November 8, 2009. This entry was posted in Greensboro Symphony Pops Concerts. Bookmark the permalink. Take me home country roads was adopted as one of west Virginia’s state songs this year woot!